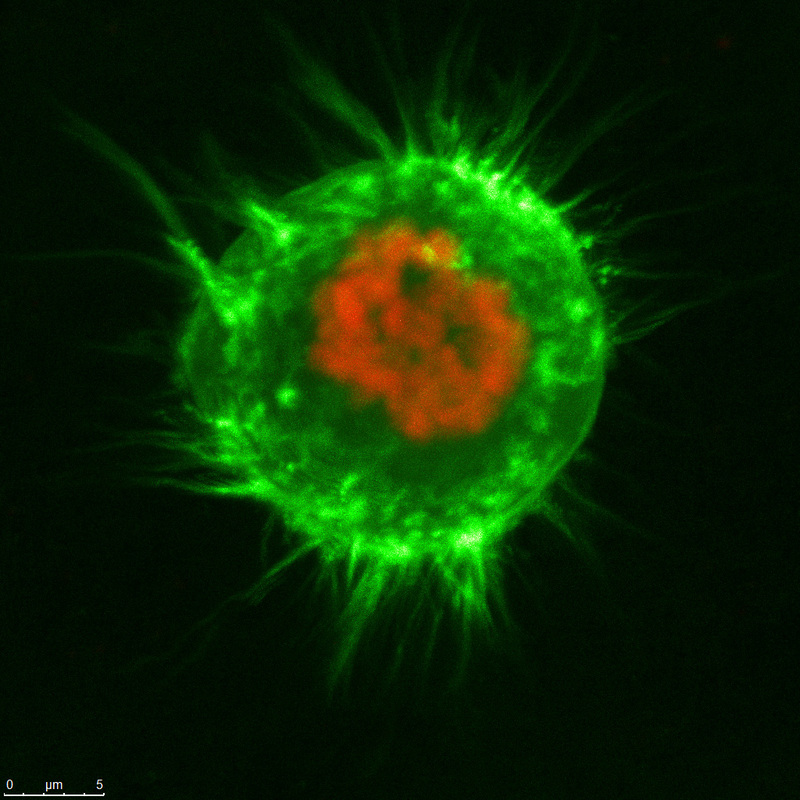 Here are a few nice still images which were taken from single frames of a timelapse movie that we did recently with some human (HeLa) cancer cells that we have constructed to stable over-express fluorescently labelled LifeAct (green) and histone H2B (red). This entry was posted in Images and Videos, Info, News and tagged Cancer, Cell, Confocal, HeLa, Leica, live cell imaging, metaphase, microscope, microscopy, Mitosis, SP8. The Cell Division Lab is based at the ANZAC Research Institute (ARI) in Sydney Australia and is led by A/Prof Andrew Burgess. 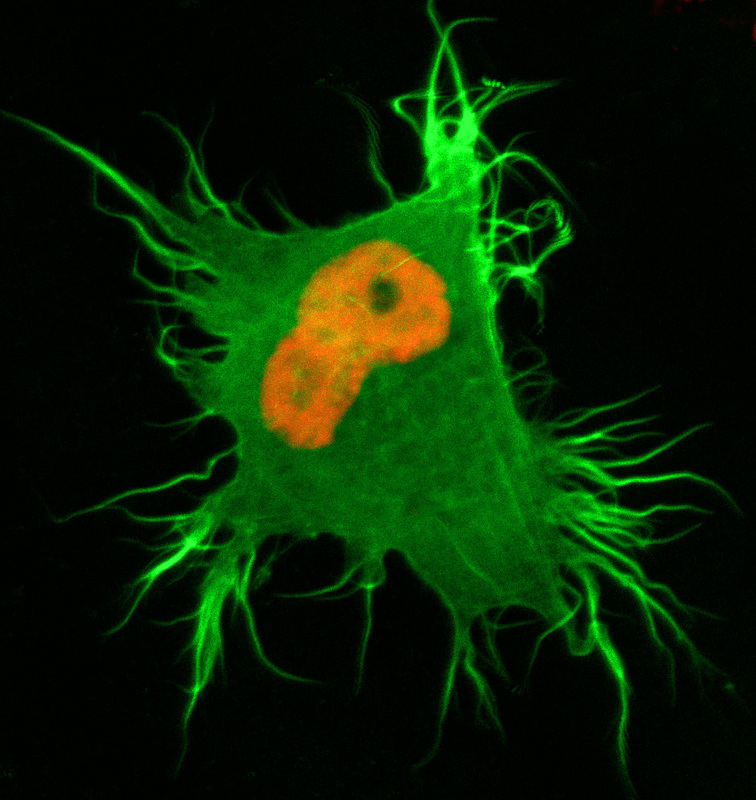 The focus of the lab is to understand the basic mechanisms controlling cell division (mitosis), how these are disrupted in cancer, and can be used to selectively target and kill tumour cells.